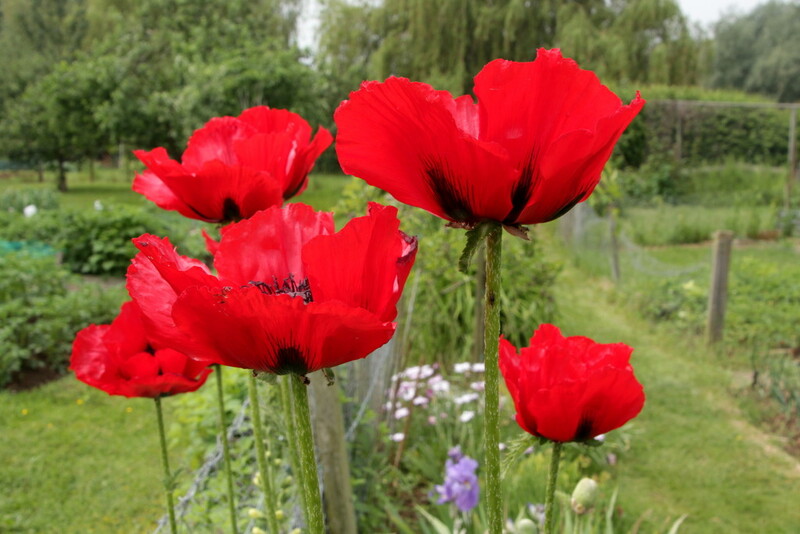 These poppies are flowering on the allotment. They are so striking, standing about 5 feet tall. I love poppies! I am looking for a field of poppies! Lovely image! Fav! They look beautiful. Such a bright red. Gosh I didn't know they grew to be that tall, gorgeous. Beautiful poppies a giant compared to the field poppy.Great find and capture. Very beautiful! Nice image with your lovely green background. Love the rich, red color and your pov on this one. Fav!